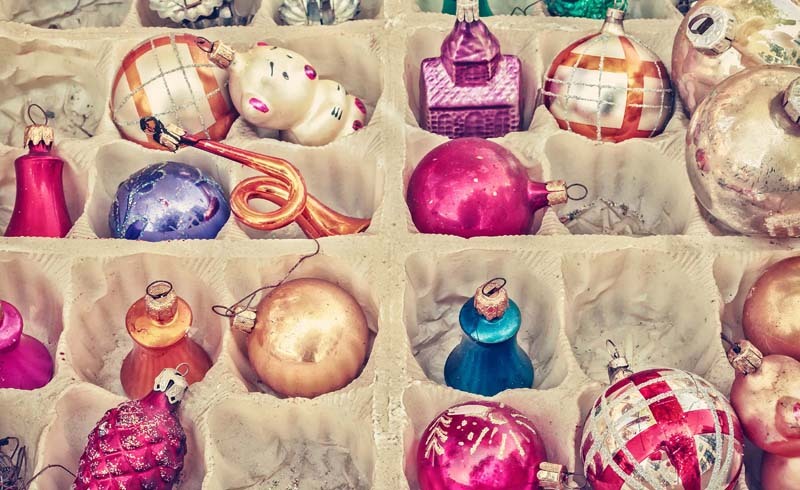 Want to know how to store wrapping paper in a neat and orderly fashion? 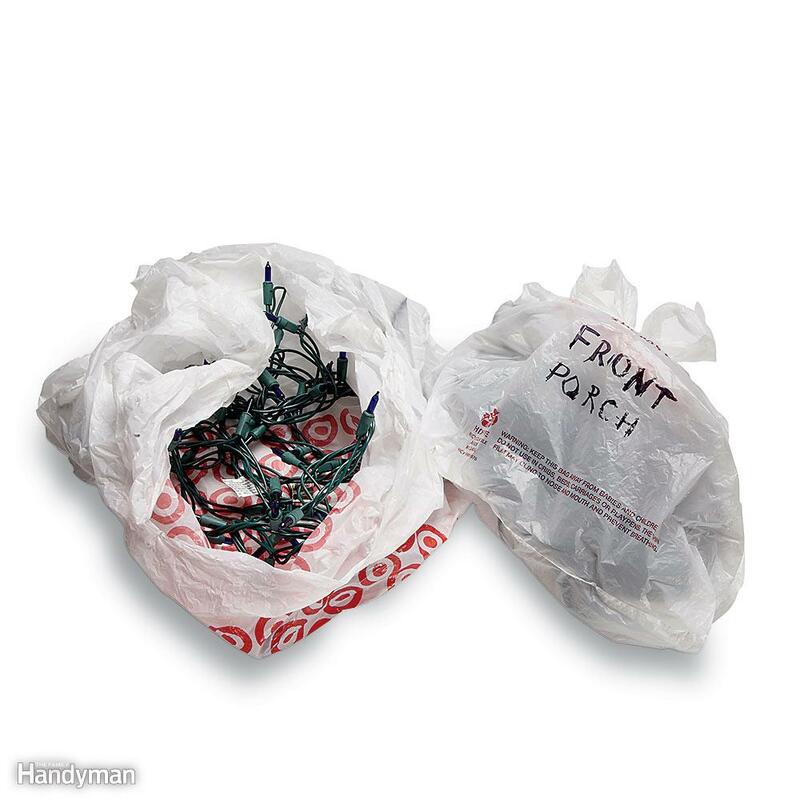 Propping up rolls of gift wrap in the corner of a hall closet often means wrinkled, torn or lost rolls. 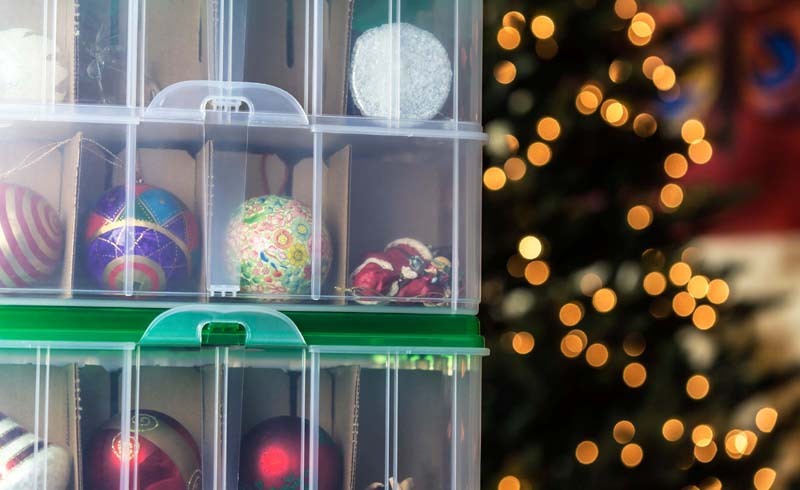 Here’s a way to keep the rolls neatly organized and easy to reach. 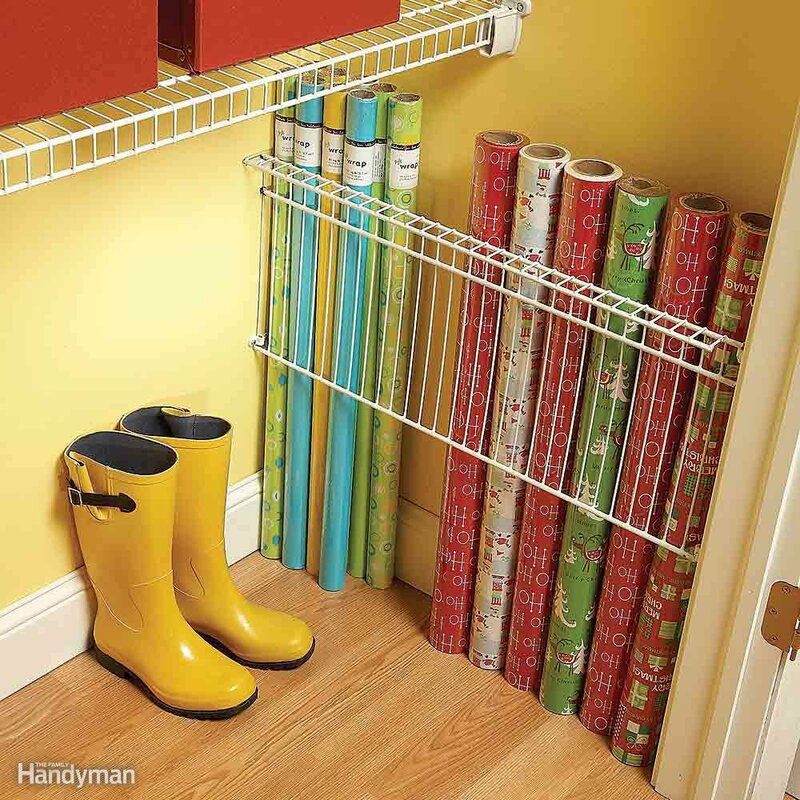 Make a wrapping paper ‘corral’ by screwing a small section of wire closet shelving vertically to the side of a closet wall. 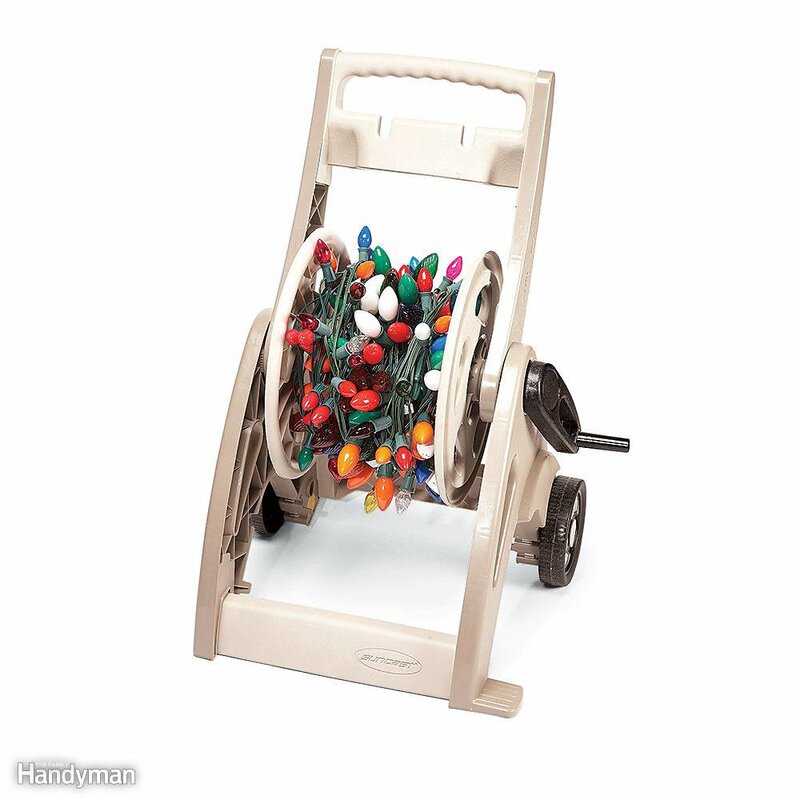 Just slide the rolls in and out of the corral?they won’t tumble over or get lost behind the coats. 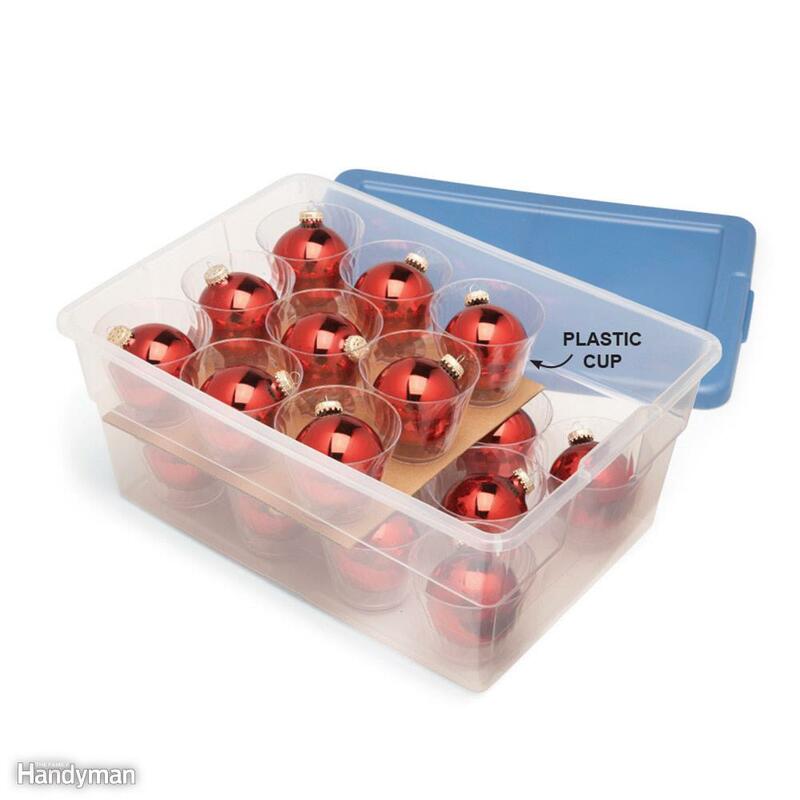 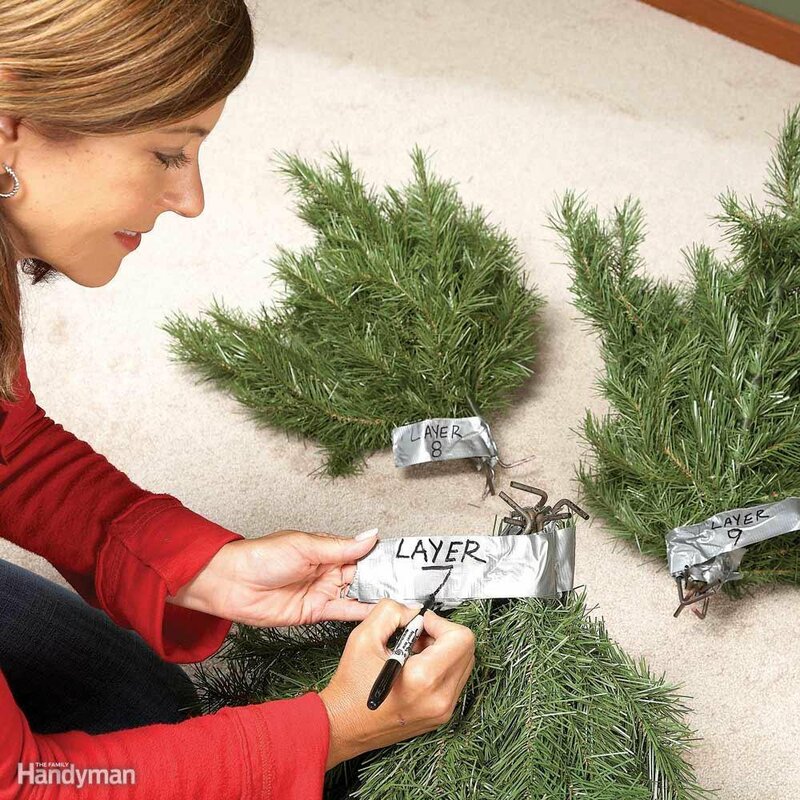 Storing holiday light strings without wrecking them is tough. 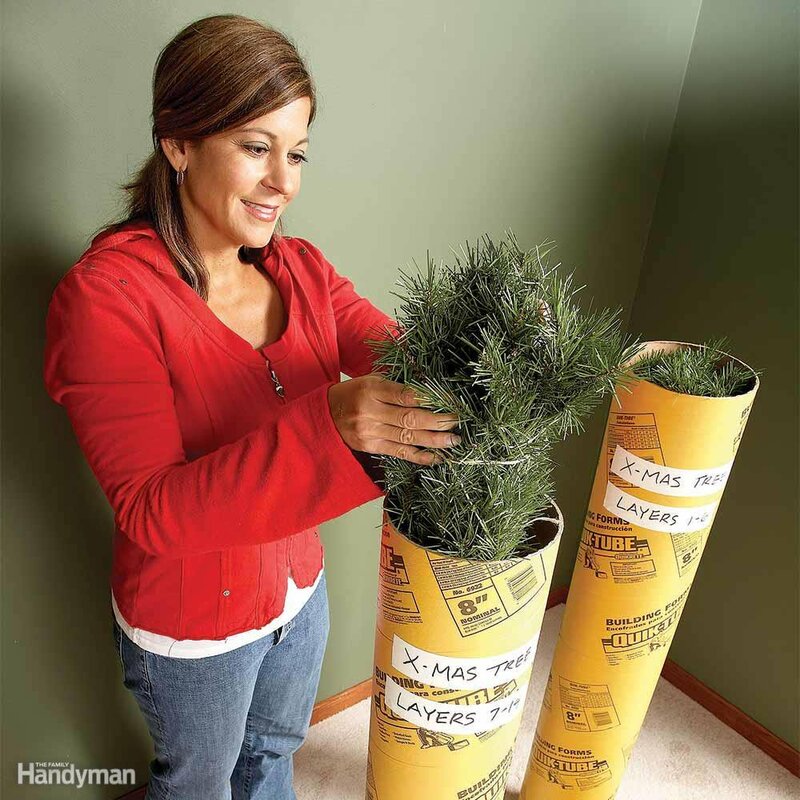 Here’s a great idea: Just screw a dowel to each end of a wooden base cut to the size of a large plastic bin. 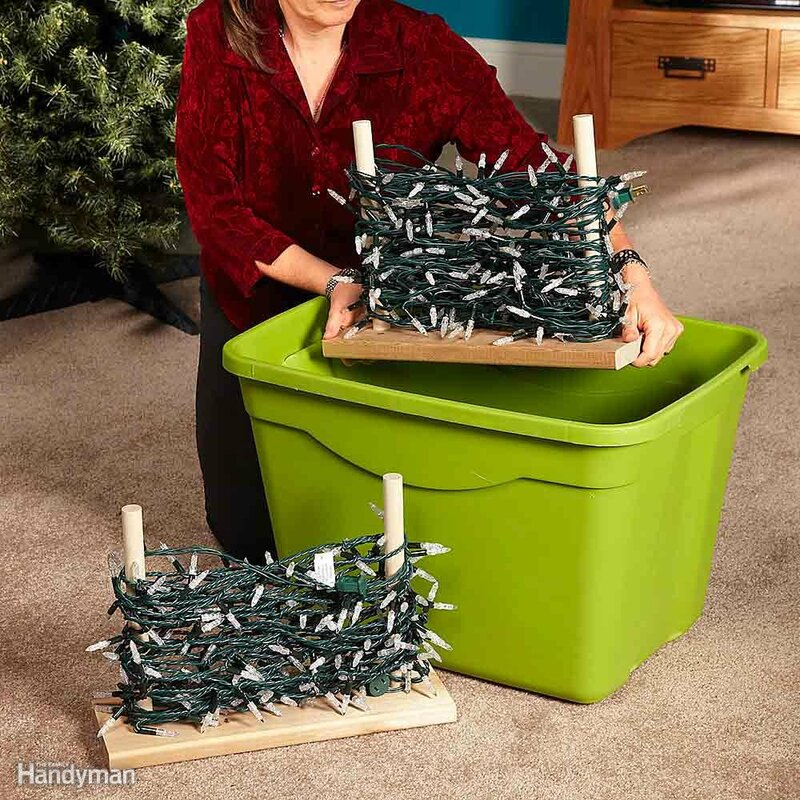 Then wrap your lights around the dowels in a figure eight and place the stand in the bin. 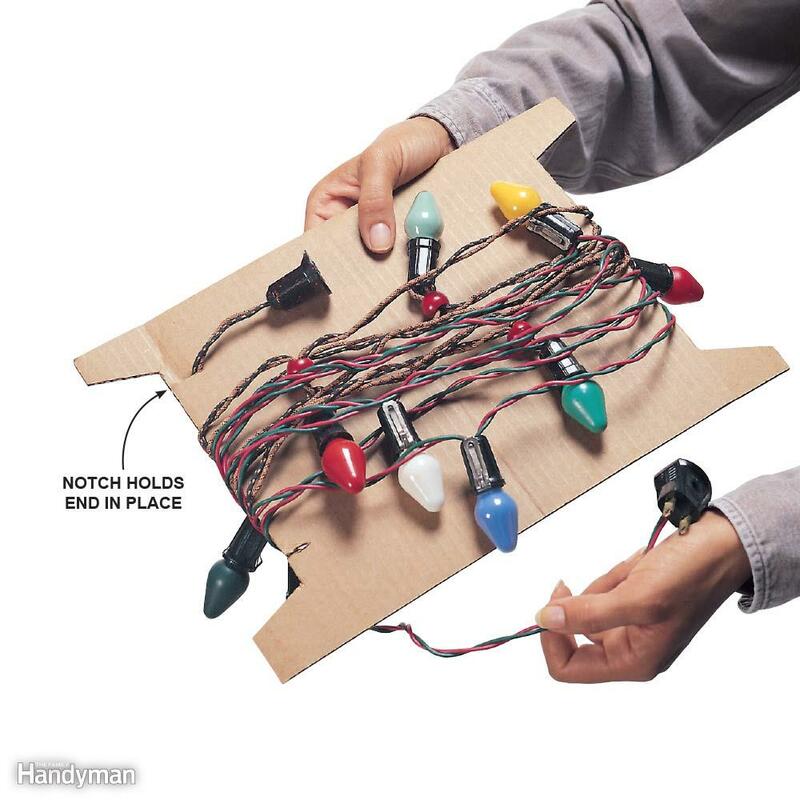 You’ll be amazed how many light strings you can wrap around the stands without them getting tangled or damaged.